Queen Liliuokalani Gardens. Photo: Denise Laitinen. 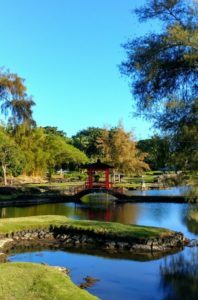 Friends of Lili‘uokalani Gardens has announced its upcoming events schedule for classes, celebrations, activities and renovation projects happening in the park throughout May and June, 2018. Hilo Lei Day at Kalakaua Park – Tuesday, May 1, 9 a.m. to 3 p.m. Put up bamboo poles and attach koi nobori at the old sumo ring shelter near Urasenke tea house. More koi nobori have been gathered since last year’s inaugural celebration, and organizers are seeking at least two koi on every pole this year. Koi will fly at Suisan Fish Market, Hilo Bay Café, two condominiums, the Grand Naniloa, Castle Hilo Hawaiian Hotel, Ali‘i Ice, the corners of Lili‘uokalani Gardens and across the bridge to Mokuola. 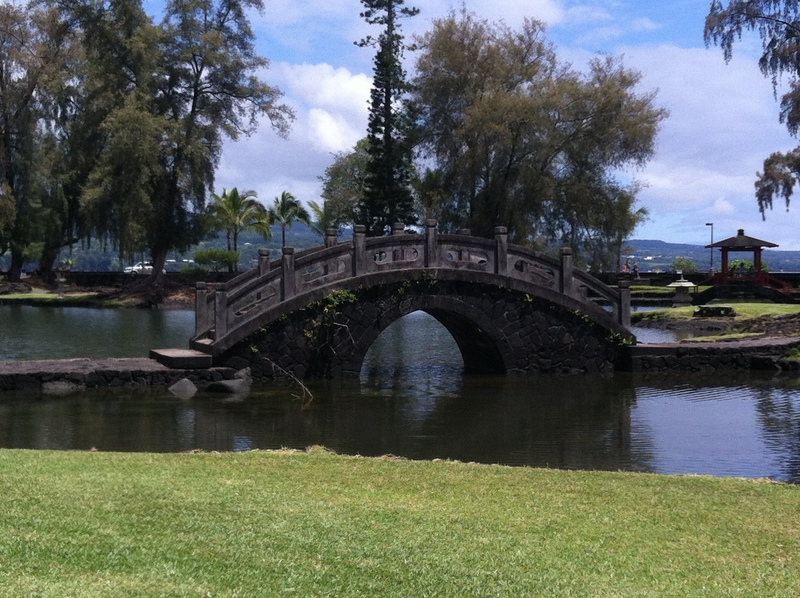 Kyoto landscaper Takuhiro Yamada of Hanatoyo will come to Lili‘uokalani Gardens for his sixth working visit. For a year, the Lions Clubs of East Hawai‘i and Friends of Lili‘uokalani Gardens have coordinated efforts to renew a section of the park located on the southern shaded corner diagonally across from Suisan Fish Market. On Friday, they will dedicate the restored area. 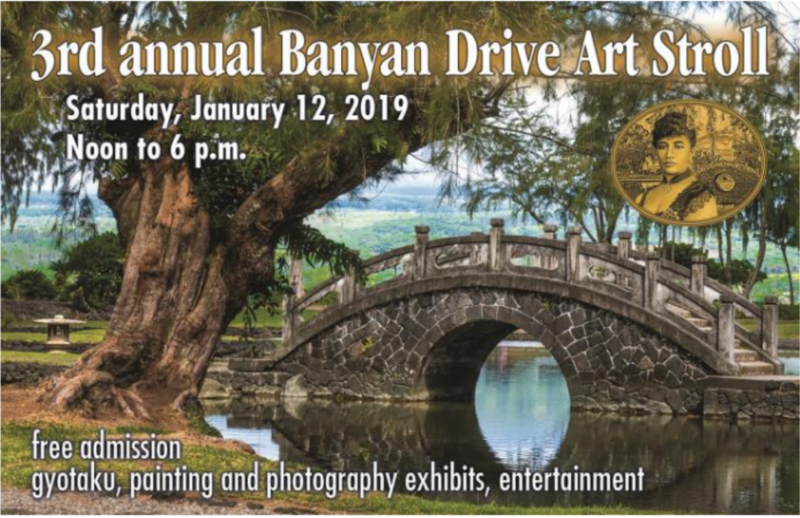 Lions Clubs and Y’s Men & Women will both hold statewide conventions headquartered on Banyan Drive. Children’s Day will mark the end of week-long celebrations in Japan known as Golden Week. Rotary Club of South Hilo will host the annual Hilo Huli on Mokuola (tickets required in advance). Support the care of homeless animals at the Rainbow Friends Animal Sanctuary fundraising walk in the gardens during. Obon and Hula in the Gardens – Saturday, June 2, 10 a.m. to 3 p.m. 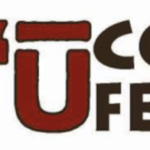 The second annual Obon in the Gardens will be held at the small parking lot adjacent to the Urasenke tea house. The event is free and open to the public. Dance instructions and practice will be offered for all ages as well as crafts for children. 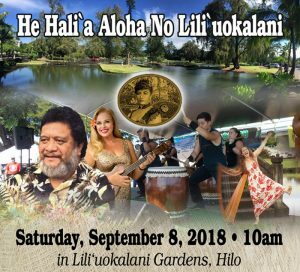 The event will be chaired by Friends of Lili‘uokalani Gardens board member Jane Heit of Tsukikage Odorikai. June marks 150 years since the first Japanese immigrants came to Hawai‘i. To celebrate, there will be a summer day camp to replace the Okinawa stone lantern in the park. 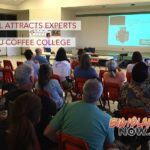 Ka ‘Aha Hula O Hālauaola, a large hula conference, comes to Hilo. The event will feature a tour of Lili‘uokalani Gardens as well as talk-story time. Friends of Lili‘uokalani Gardens board member Noe Noe Wong-Wilson is an organizer of the conference. The event in the gardens is coordinated by board member Louis Hao along with Jackie Pualani Johnson and Leilehua Yuen.